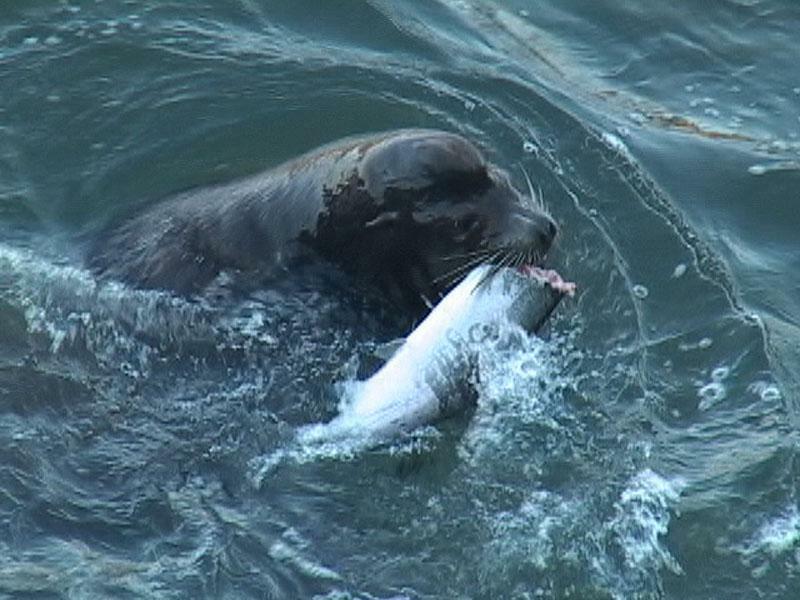 File photo of a California sea lion consuming a salmon just below the Columbia River's Bonneville Dam. 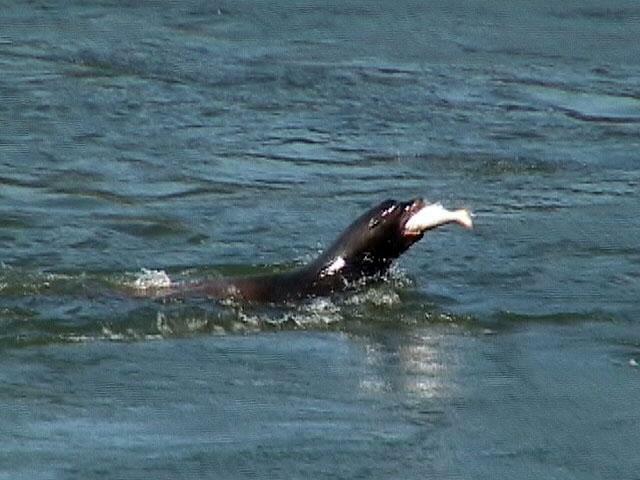 File photo of a California sea lion capturing a salmon just below Bonneville Dam. State wildlife officers trapped and killed six salmon-chomping sea lions at Bonneville Dam earlier this week. It's part of a renewed campaign against nuisance predators who follow the spring salmon run. Wildlife managers from Oregon, Washington and Idaho have standing permission from the feds to use lethal measures to protect endangered fish runs from hungry sea lions. Oregon Department of Fish & Wildlife spokesman Rick Hargrave says spotters at Bonneville Dam compile a list of sea lions seen circling and snacking at the base of the dam. The half dozen sea lions sentenced to death by lethal injection this week were all repeat offenders. "They (also) had to have been subjected to and not responded to non-lethal hazing," says Hargrave. 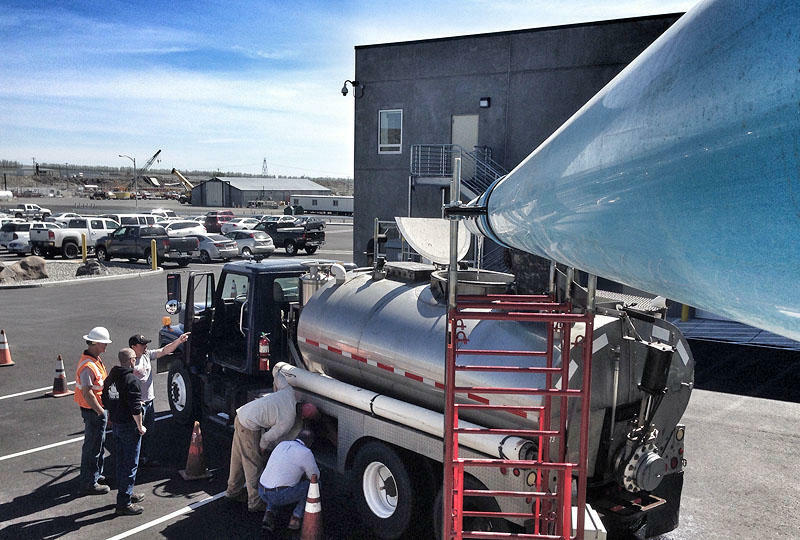 Hargrave expects operations against California sea lions to continue through at least mid-May, possibly into June this year. In a reaction statement, the Humane Society of the United States called the sea lion killings "needless." HSUS field director Sharon Young asserts the "deaths accomplish nothing" and represent a waste of taxpayer money. 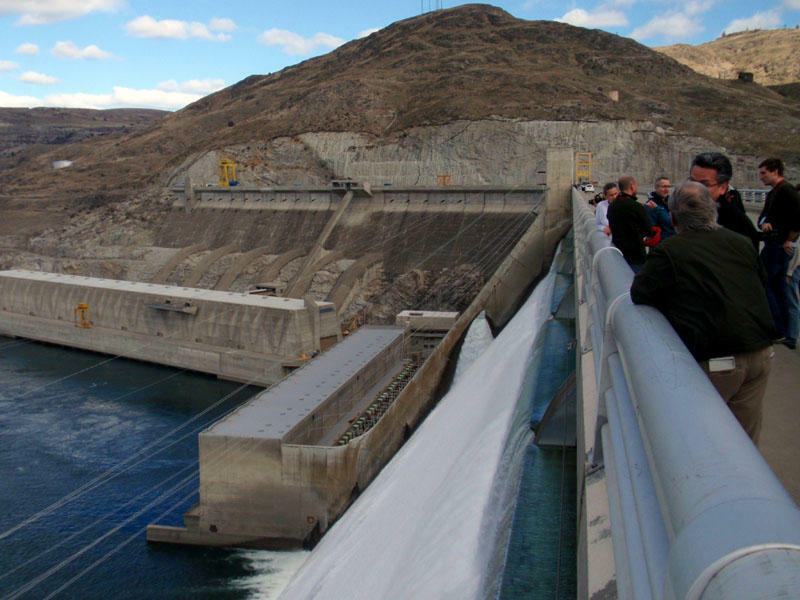 The Columbia River will remain drawn down at least until June because of the cracked Wanapum Dam in southeast Washington. 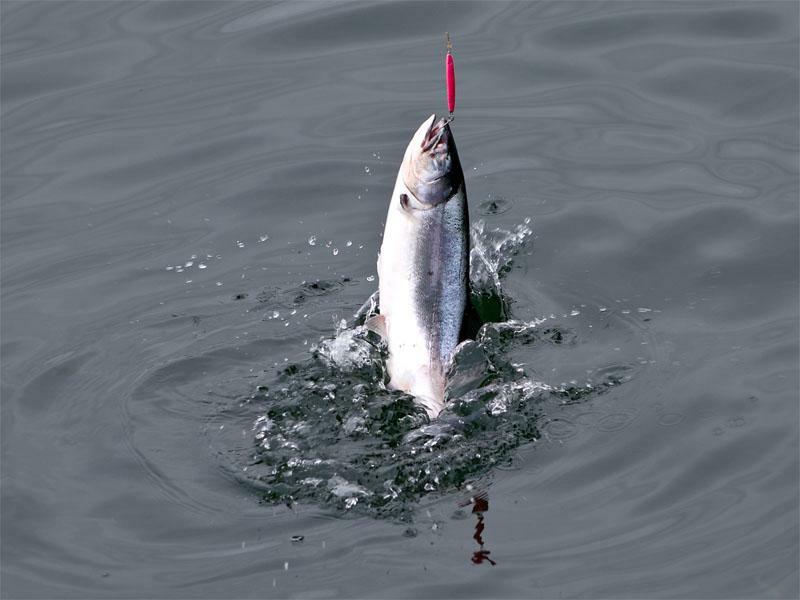 A federal fisheries management panel has approved what some charter captains are calling the best ocean fishing season in 20 years. Once upon a time, salmon and steelhead swam over a thousand miles upriver to the headwaters of the mighty Columbia River, at the foot of the Rockies in British Columbia.